Are you intimidated by the idea of joining a gym? If so, you are not alone. The gym experience can be overwhelming. It can be as confusing as a calculus equation or as frightening as a medieval torture chamber. 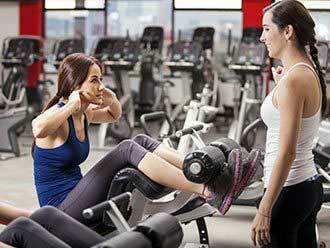 If you’re a gym novice, you will need guidance and someone to answer all your questions. Is it better to run on a treadmill, lift weights, or try a class? Do you stretch before or after you work out? What do you wear to the gym? At 5 Minute Fitness Gym, we are here to answer those questions and so much more. Reaching out and giving one of our certified trainers a call is your first step in resolving your confusion and intimidation. Running on the treadmill, working out on the elliptical machine, and lifting weights can get old fast. It is always a good idea to change up your workout routine or take a lesson. When your body gets used to an exercise, your muscles are no longer being challenged. Variety in your workout routine will keep your body guessing, resulting in a more successful workout. At 5 Minute Fitness Gym, we offer a wide range of classes to meet a variety of fitness levels. From Taekwondo to Boxing Cardio, there’s always something new for you to try at 5 Minute Fitness Gym. Train as you like in a judgment free environment. Being able to workout is integral to a healthy life, but there are some places that make this difficult because they have atmospheres that are not conducive to learning and growing. With this in mind, 5 Minute Fitness Gym was created so that all the people of Saint Paul could find a place to improve themselves. Arguably the most well-known martial art in the world, Tae Kwon Do is a striking based fighting style that does not include grappling in its training. Relying on keen focus and a firm center of gravity, Tae Kwon Do teaches you how to strike correctly but more importantly that you must understand the reason behind your strike.